I wish I could say that my hiatus was intentional. Posting regularly is just somewhat of a chore for me at times, I was a teenager ignoring his chores like the pink elephant in the room. This morning on my way home from work I saw a pink cotton candy explosion in the clouds. Coming up with this metaphor brought me back to the page or screen if you may. I have switched to an overnight weekend 3 X 12 schedule at work and so far it fits me like a glove (Yes, everyone once in awhile I tap into trite sayings). I have finally put into play the Tim Ferriss concept of less work for more pay. 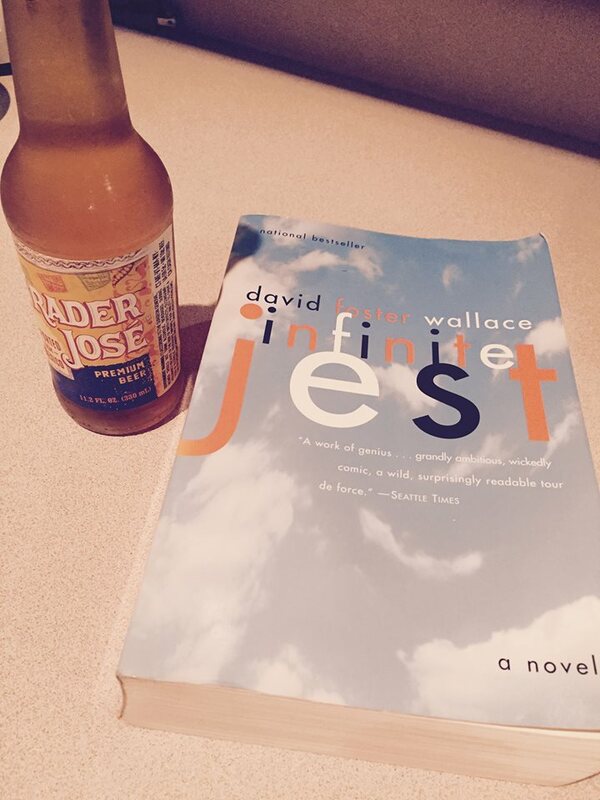 The trailer of “The End of the Tour” drew me back into trying again to read Infinite Jest. The epic David Foster Wallace behemoth. I am rapidly making progress and I am nearing the half way point. I am focusing on enjoyment of the eloquent writing rather than trying to grasp every sand grain of the story. I was hoping to finish the book before seeing the movie but I am too eager and will dash those hopes later this week. Maybe I will write about the movie or maybe I will take another writing hiatus. Hopefully the former. The reintroduction to the blog screen feels soft and cuddly. Will it remain that way? At least for now it will. My World Series of Poker Heartbreak!